The patenting of mobile apps is generally seen as challenging in view of the common misconception that software is not patentable. However, certain aspects of apps that solve technical problems can certainly be patented, as we know from experience in this area. Here, we take a look at patents for popular apps, to see what app developers are protecting. Many apps use sensor data obtained from phones to solve real world problems. For example, fitness app Strava uses GPS activity data to allow users to track their ride or run. 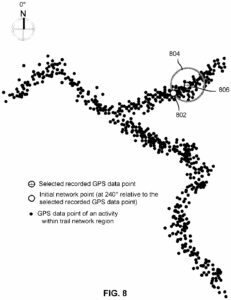 In European Patent Number EP 3144703 B1 (18 July 2018), Strava protects the processing operations used to generate trail network maps (see the below drawing) from a plurality of GPS recorded activities each relating to a recorded athletic performance. The claims of the Strava patent were considered to be patentable in Europe as they were assessed to include technical features that present a contribution over the prior art and solve a technical problem in a non-obvious way. In particular, the patent examiner found that the features related to how the computer process or determines cycling activity data that intersects a tile in a geographic area, and then from this determines a portion of this activity data that relates to mountain bikes are technical and present a contribution over the prior art. The examiner considered that these technical features solve the technical problem of how to automatically identify a trail network region based on a portion of the cycling activity in a non-obvious way. Another app is focused on using sensor data to solve a problem close to the heart of many DIY enthusiasts: generating floor plans. MagicPlan allows users to create floor plans using their mobile phones. The app uses the phone camera and accelerometer to determine coordinate points for features such as corners and doors in a room to generate a floor plan. The app is therefore directed towards solving the technical problem of how to map a space such as a room using a phone. The processing operations used by MagicPlan to solve this technical problem are protected by US Patent No. 9,041,796 B2 (26 May 2015). 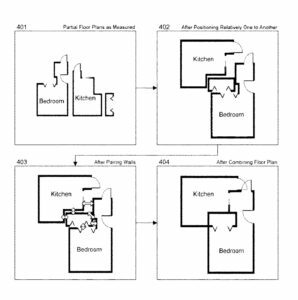 Another feature of MagicPlan is that it allows partial floor plans, such as for different rooms, to be stitched together to create a combined floor plan as shown in the below diagram. US Patent No. 8,996,336 B2 (31 March 2015) is directed towards the computer-implemented method of how these partial floor plans are assembled together. In a completely different area, the eyeWitness to Atrocities app, focuses on how to verify photo or video media content, so the content is more likely to be accepted as evidence in court proceedings. According to eyeWitness to Atrocities, atrocities and other crimes often come to light when a witness secretly films or photographs the event and distributes the captured media content publicly. While this media content may serve as important evidence in a trial, the captured media content alone may not be considered to provide sufficient evidence by the courts. Additional proof that the captured media content has not been altered may be required. eyeWitness to Atrocities have protected their solution to this problem in US Patent No. 10,044,690 B2 (7 August 2018). This patent discloses a mechanism by which captured media content is encrypted along with data indicating the time and place at which the media was captured. The encrypted content is sent to a public web server, which forwards the encrypted content on to a private file server which is inaccessible from the public network. The encrypted content is then removed from the public web server. The eyewitness to Atrocities patent is directed towards secure data transmission and encryption. In principle, we expect inventions in these areas to be protectable by patents as they are solving problems which are generally accepted as being technical. On a lighter note, other apps provide users with new ways to enjoy music. The processing of audio data is also a problem that is generally accepted as being technical, so we expect inventions in this area to be protectable by patents. For example, Smule is a karaoke app that allows users in different locations to sing together. GB Patent No. 2546686 B (11 October2017) protects how Smule processes audio data to enable a geographically distributed glee club to prepare a coordinated vocal performance. In this method, a first user’s vocal performance is mixed with a backing track and supplied to a second user as a first mixed performance. The second user’s vocal performance is then recorded against a local audio rendering of the first mixed performance. The users are then presented with performance mixes of the captured user vocals with the backing track. Another music app is provided by the streaming service Spotify. Spotify has a large patent portfolio directed towards various aspects of the streaming service, including how content is selected and provided to the user. In European Patent No. 3268876 B1 (15 August 2018), Spotify protects a mechanism for selecting media content so as to improve the quality of the listener’s rest or sleep. The app receives a selection of a moment such as “bedtime” or “power nap” from the user and acquires a heart rate of the user. The app then selects a song with a first tempo based on the heart rate and the selected moment. Meanwhile, US Patent No. 9,942,346 B1 (10 April 2018) is directed towards Spotify’s mechanism for personalizing user experiences based on personality traits. This patent discloses that a listening history of the user is analysed to determine a personality trait of the user. Personalized content is then provided to the user based on the determined personality trait. Of course, many of us use our phones to play games, and unsurprisingly gaming apps are a huge area of app development. For example, the immensely popular Pokémon Go by Niantic and Nintendo provided an innovative combination of augmented reality (AR) and location-based content which is the subject of several patents and applications. One such patent is US Patent No. 9,545,565 B1 (17 January 2017) which is directed towards how to score player interactions within a location-based parallel reality game. Not all gaming apps are fundamental new developments. Some apps are just re-imaginings of classic arcade games. However, such apps are not necessarily excluded from patent protection provided the new apps make an improvement over the existing games. 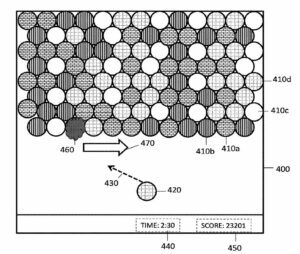 For example, King.Com Ltd., the makers of Candy Crush, obtained US Patent No. 10,035,070 B2 (31 July 2018) for their modified version of a classic bubble shooter game. The above examples show that patents for app-based inventions can and are being obtained by app developers. Indeed, our research suggests that at least eighteen out of the top thirty apps on the Google PlayStore in the UK are, at the time of writing, protected by patents or patent applications. While obtaining patents for apps can be more challenging, the rules are the same as for other software based technologies. In general, if your invention has technical features that present a contribution over the prior art and solve a technical problem in a non-obvious way we expect that your invention will be patentable. 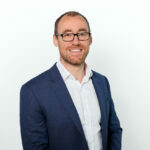 The approach to assessing patentability of software vary across different jurisdictions which means that even if the chances of getting a patent granted in one jurisdiction is slim, your chances might be higher elsewhere. We have helped our clients obtain patent protection in a vast array of software areas including gesture control, GUIs, VR/AR, security, image processing, and ecommerce. We can advise you on this admittedly tricky area of patentability. 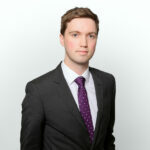 If you would like to discuss the patentability of an app you are developing, please get in contact with Richard Bray.